Looking for StreetSounds? Click HERE. Putting Music on Your Main Street! 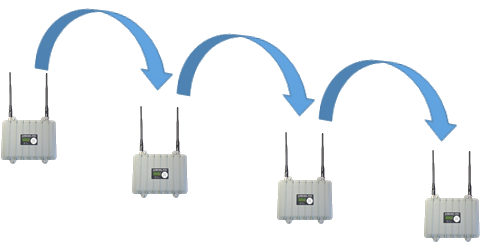 Now, two choices for outdoor wireless pro-audio. The AiRocks Pro is now available in two versions. 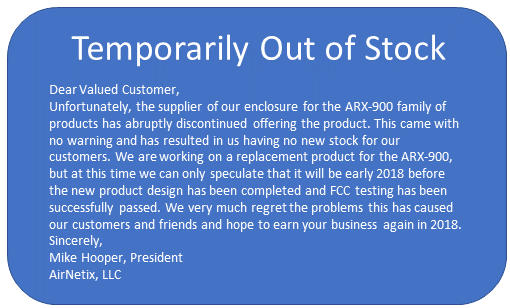 The ARX-900 is designed for Mobile Sound Production companies to be used in concerts, festivals, parades, air shows, sporting events, and any other outdoor (or indoor) event that requires a temporary installation. The NEW ARX-910 is designed for Permanent Installations (Installed Sound) which require constant, prolonged exposure to the elements such as downtown districts, zoos or parks, outdoor arenas, or a large campus. Check out the AiRocks Pro article by Keith Clark on ProSoundWeb! Don't hit a brick wall with your choice of radio equipment! 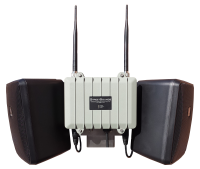 Our 900 MHz system has a range that is ~2.6X the range of a 2.4GHz system operaring at the same power level, and over 6X the range of a 5 GHz system operarting at the same power level! If you want to operate in a large convention venue, a large wedding venue, or even a large outdoor event venue, you will experience walls, trees, people, and other obstructions. 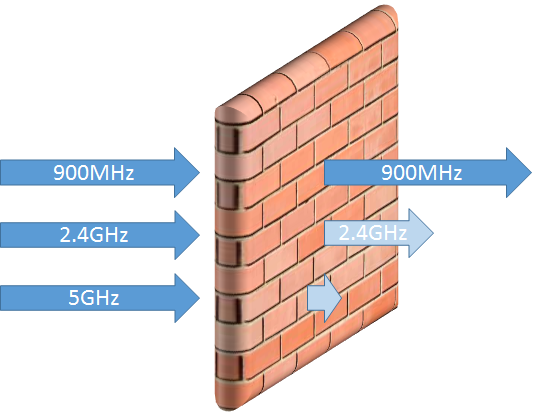 The 900 MHz frequency band is FAR superior to 2.4GHZ and especially 5 GHz systems. 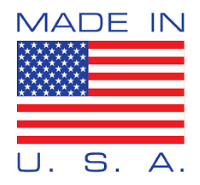 Don't be fooled by marketing hype.... ask for a demo. 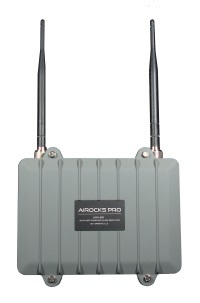 AiRocks Pro is a "multi-hop" wireless audio system designed for large venues. 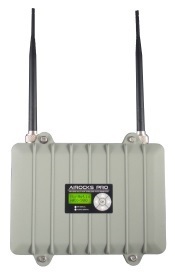 Based on its novel “repeater” technology, AiRocks Pro can dramatically extend the coverage area compared to traditional wireless audio products (see Technology page for more details). Every AiRocks Pro unit can be configured as either the main transmitter (Master) or receiver (Relay).There is nothing else like it on the market.